Would you recommend Inbox by Gmail Chrome Extension to a friend? 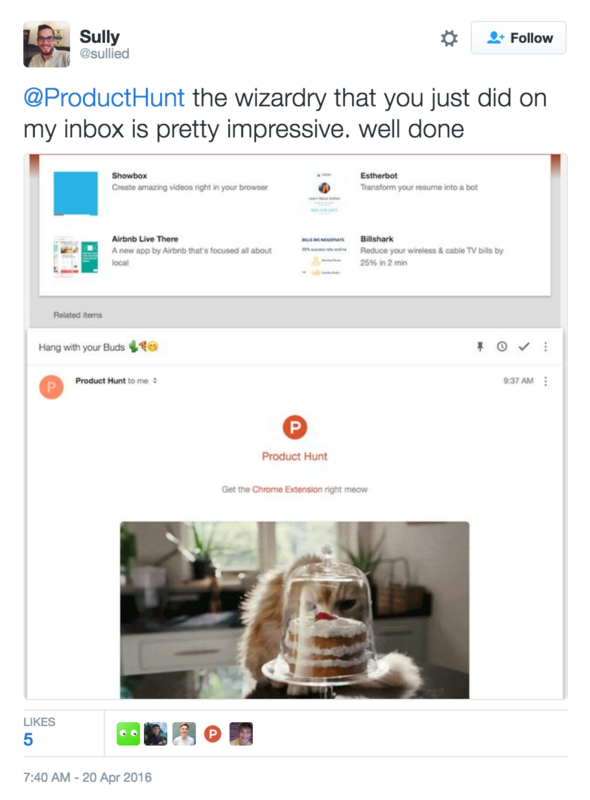 @rrhoover @eyal_weiss @sullied Would love to know how the new ProductHunt email highlights work. Would be brilliant to have this for Safari! This is amazing! I used to always used the "Send from Gmail (by Google)" extension to mail things to myself for reminders or to others. Now the "reminders" are built in and I can send to others via a native Inbox experience (and not that outdated gmail interface). Love it. Inbox has already became a central part of my task management, basically saving reminders and snoozing them for later, it would totally fit a "read it later" process too. Sounds awesome - I wonder how you'd use this on your phone - for example if I want to save something to Pocket I'd "share" to pocket. Hopefully they'll add an option to "Share" to inbox. Edit - Actually, you CAN "share" to inbox! Very cool.